Above is a gorgeous installation by Philip Iosca at Fourteen30 Contemporary. He will be my guest on Art Focus this coming Tuesday, April 2. This is my first interview in about a month. VOLTA was a sweeping event in my life, plus I now have a great day job. KBOO is fortunate to have Joseph Gallivan now contributing his radio skills to Art Focus. From now on we will share the show and alternate our days. Thank you Art and Fashion. So many shows I had years ago were not documented. It's a shame really because we were all more photograph-able then! So I am grateful for all the images and words now. 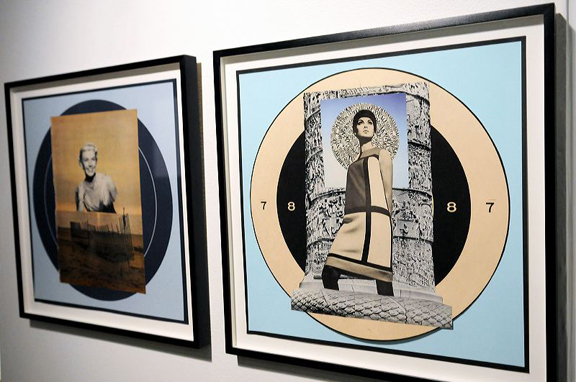 Thank you NY Arts Magazine for being included in Best of VOLTA NY 2013. 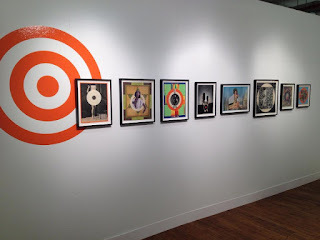 Thank you Cheap & Plastic for the great install shots from VOLTA. 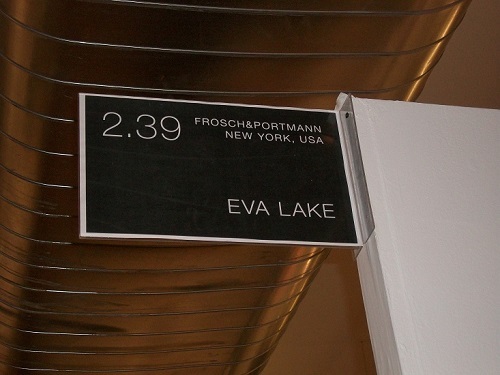 Thanks to Arte Fuse for mentioning our booth at VOLTA NY. 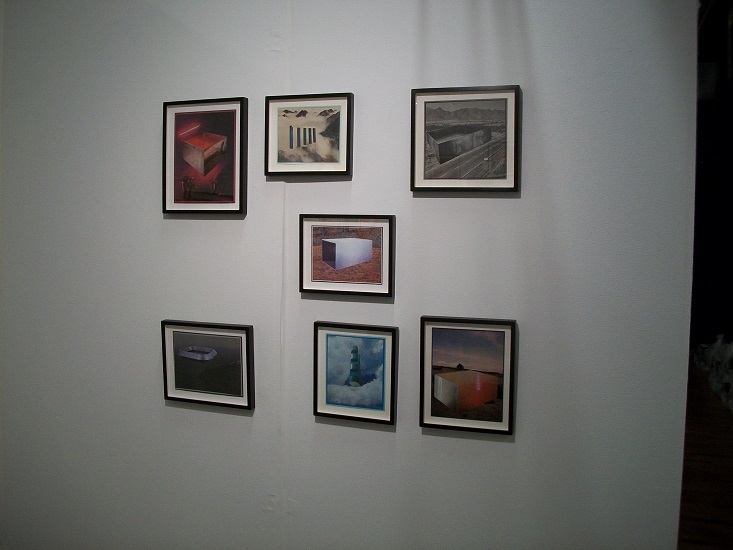 Thanks to Mark Rabiner for stopping by the booth an creating this great installation shot. Here comes the sun. I love this fair and feel like Cinderella. Meeting artists, curators and collectors from all over the world. 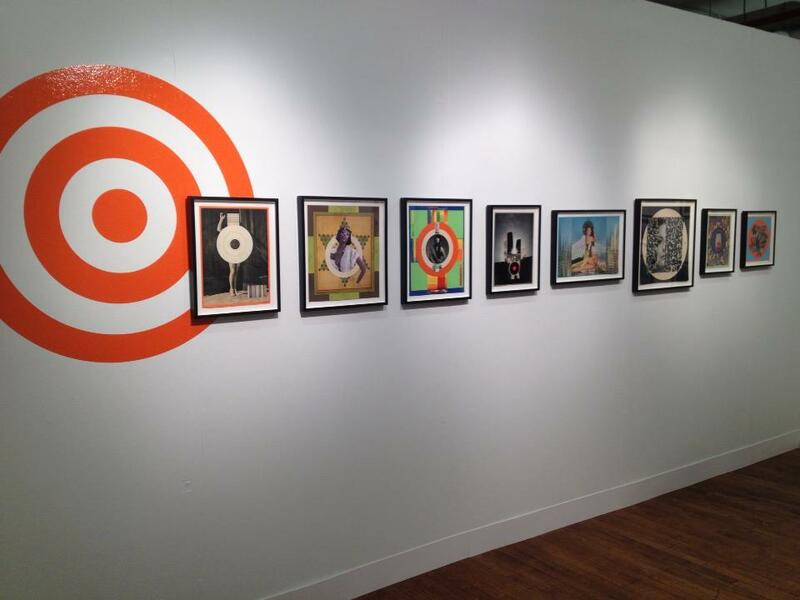 And I love how frosch&portmann installed my show with a big orange target! All of The Judd Montages came out of one magazine, left behind by the original tenant in an illegal sublet I had on West 56th. So the project in a way was finite; it could only come from one source. Altogether there were 17 pieces. 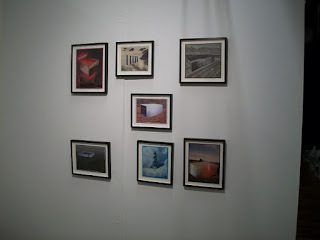 This wall presents what remains of the collection, all at VOLTA NY, at booth 2.39. Here is my new address - at 82 Mercer. So glad to be back to Old New York. Last night I met up with a family who were my neighbors when I first moved here, mid-1980s. They gave me shelter often and became my NYC family. I plunged into the working life with a vengeance and on someone's advice, began to study painting at the Art Students League of New York. I still collaged but hardly a soul knew it. Well, she's back. My working life often involved the beautifying of the female, whether it was through paint or drapery. Over the years I became well aware of how the woman herself - me included - was merchandise. I was especially sensitive to it when I tried to get a leg up in the art world and was often placed back (gently or not so gently) into The Goods corner. The Target above touches on these issues. It was always one of my favorites and will show at VOLTA tomorrow. 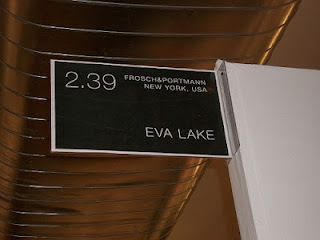 Over the next week I hope to keep it current with posts from VOLTA NY. Here is my page for the art fair. Many many thanks to the Oregon Arts Commission and The Ford Family Foundation, who are funding the framing and other costs towards my trip and exhibition! 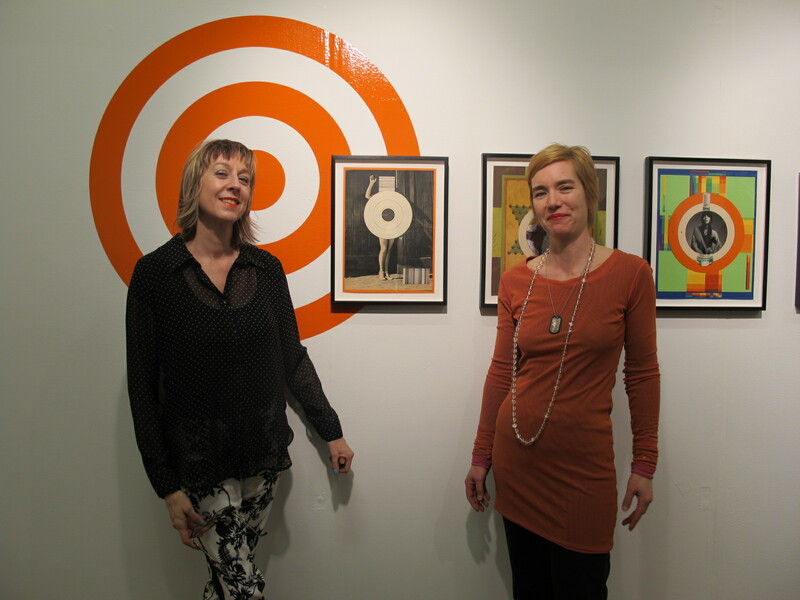 And of course many thanks to frosch&portmann, my great NYC gallery!